Just about every blogger knows that they should have an about page — it is a mainstay of the blogosphere. Whilst many may not be particularly well-optimized, at least they are there. The same cannot be said for the massively undervalued ‘Start Here’ page — whilst I have seen it grow in popularity over the past year or so, it is still not as widespread as I believe it should be. In this article I intend to demonstrate why a ‘Start Here’ page can be so beneficial and then go on to show you how to create a great one for your own blog. Let’s start with something obvious — if you don’t have an area on your blog in which you show people how to get started, how do they know whether your site is right for them or not? To simply assume that visitors will arrive on your blog and instantly ‘get it’ is likely to result in a lot of people leaving frustrated. Visitors need to have their hand held when they first come across a new blog — they need to be shown in very plain terms how it can benefit them and why they should stick around (and/or subscribe). Spoon-feed your best content to them (and thus fulfill your promise). As you can see, visitors to my ‘Start Here’ page (on average) carry out well over three times as many actions and spend well over three times as long on the site. They almost never bounce off. And perhaps most impressively, around 10% of visitors to the page convert into email subscribers. Alright, so by now you should be a convert to the concept of a ‘Start Here’ page. The next question is of course, what should you put in one? The first step to creating a great ‘Start Here’ page is to clearly and concisely communicate the unique benefits your visitor can gain from browsing your site. When you write the content for your page, you need to keep your target audience in mind. You need to write for that one person who will immediately connect with you on the strength of just a few words. As you can see, my blog is targeted at people who want to quit their jobs and build their own online business — I make that very clear in the first sentence. I narrow down my target audience further by specifically mentioning the business models I tend to cover. Finally I clarify the benefits to be gained from reading my blog over any other in my niche (i.e. people can discover what I have tried as well as the causes of my successes and failures). By doing this you split your readers into two groups — those who are now fully engaged with your site, and those who are not. You don’t need to worry yourself about the second group, as they were never going to hang around for long anyway. 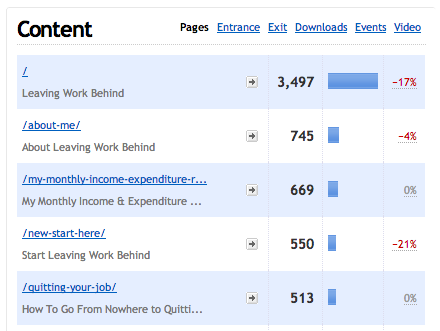 Your ‘Start Here’ page has done its job by engaging with the exact type of person you want to keep on your blog. You will find that this performs very well in terms of converting visitors into subscribers. If someone has got this far and is still reading, they are going to be more inclined to make a commitment like giving away their email address. The second and final section of your ‘Start Here’ page should reveal a selection of your best content. How you present this content is entirely up to you — my page includes a list of around 40 posts sorted by category. That’s a lot of posts and you may wish to make your list a little shorter (I’m on the fence as to which approach is better). This list should feature only your very best content — at such an early stage you want to make sure that you put your best foot forward. As you will now know, putting together an effective ‘Start Here’ page does not need to be a particularly grueling process. What might only take you fifteen minutes could make a world of difference to how people engage with your blog. What are your thoughts on ‘Start Here’ pages? Do you have one, or are you now planning on creating one? Do you have any tips of your own? Let us know in the comments section! This was super helpful. I’ve had a Start Here page for some time. It was on my “to do” list to update it. This was a big help and I plan on finishing mine up this weekend. I followed your lead and created a “Start Here” page this weekend. Just launched it this morning. It has been on my list of things to do for a while now, so it was nice to be able to finally count that as complete. 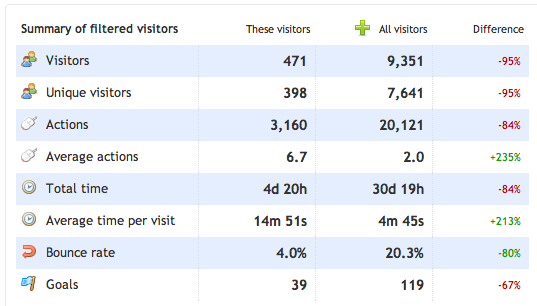 Interested to take a look at the metrics in a couple months to look at the conversion and engagement metrics. Interesting post, I still not 100% certain about what to do though. One one hand, yes, its a great place to Introduce the blog and provide some popular content…but you can easily create a popular content section on the homepage or sidebar. This way people will enjoy the blog due to loving the articles instead of feeling the pressure that they must “choose” this blog. 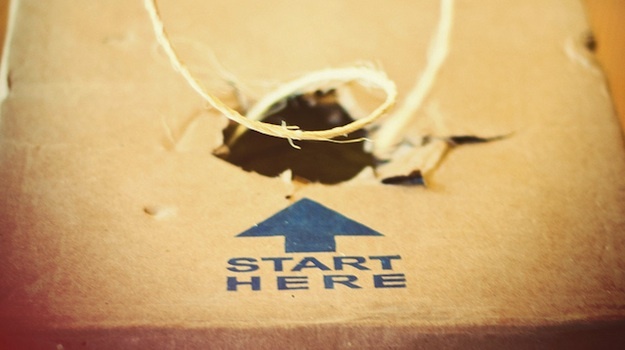 As a thank you… I’ve noted a couple of luminary bloggers use “start” as a page name vs. “start here”. Thanks for the spot-on advice, Tom. I’m at the point in developing my blog that I need to create a “Start Here” page and being that I blog about a very niche subject, your advice to define some initial expectations is especially important. I’ll definitely be implementing a few of these tips. Great article! My question is, what do you suggest if you don’t have any content because you are just starting blogging? I’m looking forward to your response. I’d say start with an About page and consider putting a Start Here page up when you have enough quality content to warrant it. Yes, it’s an awesome way to highlight some of our best posts or to sort all posts in an organized way..
I’ve been seeing so many “start here” pages recently. I need to move forward with crafting one of my own. I don’t know why I’m so late to the party. But a “start here” page will surely help direct my visitors regarding the purpose of my site. After I clicked “submit” I remembered a site I saw with both “Home” and “Start Here” so I went to look at it again. What this person does on her Start Here page is share a quiz about goals and stuff, then says she will contact them. THoughts? For me a homepage is just a list of recent posts in reverse chronological order, unless you go for a static page, in which case a ‘Start Here’ page may be redundant. You can put anything you like on a ‘Start Here’ page, but for me, direction to your best posts is an obvious inclusion. What are your thoughts about making the “Start Here” page your static home page instead of the blog feed? Nicely written and a great idea. Do you use “start here” and a “home” link on the navigation bar? As I read through this it sounds like they are similar, although you have both. Am I getting that right? Interesting stuff, I might give this a go. In your view, is it the sheer ubiquitous ‘life’ understanding of the term ‘Start Here’ that works? That it is even more widely understood than Home or About Me? Yes — I think to a great degree, it’s instinctive. If someone hits a blog and doesn’t immediately “get it”, arguably the most obvious port of call is the ‘Start Here’ page. I would recommend placing it prominently and above the fold if possible. In the top nav, or even as a button in the sidebar (as we have). Interesting idea to create a special “Start here” page but until now I thought most people recommend to put the info you have described and the call to action (newsletter, rss, facebook, whatever) either in the sidebar or at the end of each article. As far as I have understood it the argument for this is that most visitors don’t land on your main page but on article pages and after they finish reading the specific article they either leave or look for the next page to visit, so the bottom of articles apparently is one of the best places to engage visitors. Of course you can have both, but where do you see the differences or the advantages of a special “Start here” page except that you can put more content on it? Well you’ve basically stated my argument at the end of your comment. A dedicated page allows you far more room — I can’t see how you could put more than a snippet of info in the sidebar/end of the article. Personally, I include a direct call to action at the bottom of my post and that’s it — it has the most impact that way. Meanwhile, if people aren’t ready to subscribe but want to find out more about the blog or where to get started, they can check out the ‘Start Here’ page. I love this idea Tom! I’m definitely going to be testing it out on my sites.